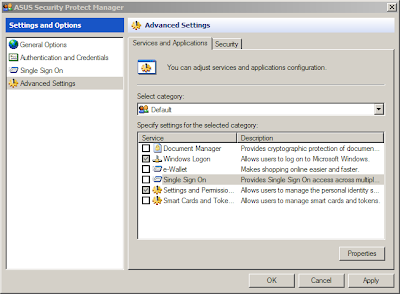 ASUS Security Protect Manager improves system security and productivity by consolidating user passwords and network accounts within a User Identity and allow secure and convenient access to registered applications after logon to the ASUS Security Protect manager. 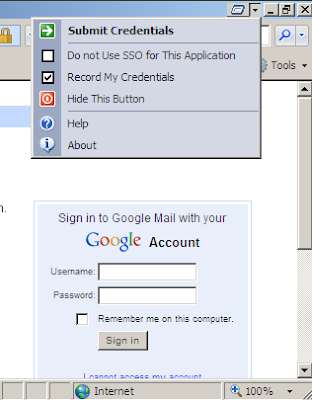 I found that Single Sign On (SSO) component takes a bit of the CPU when a webpage is loaded in IE (I use IE7), as the application is trying to record the logon details and help with subsequent logons. I have used IE AutoComplete for username and passwords on forms for a while now, so I don't really find SSO very useful, but I'm sure that other people may do.